Don’t leave your home or attend a meeting without a C4L slim jim! 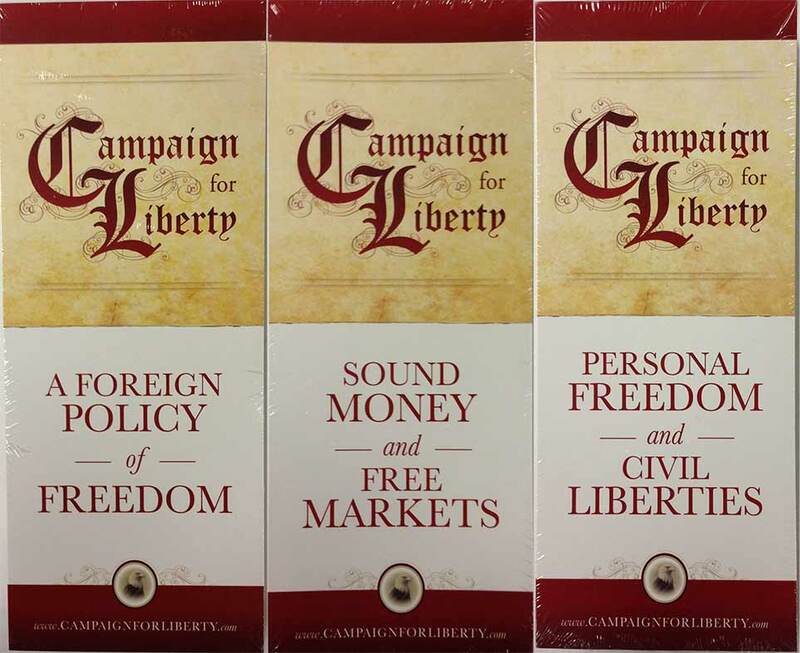 Our educational “slim jim” palmcards are a perfect introduction to Campaign for Liberty and the ideas that comprise our mission statement. 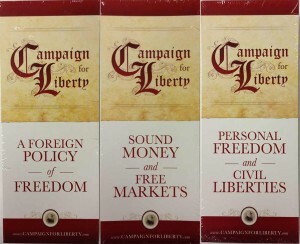 The slim jims are available in three different types, Sound Money/Economic Freedom, Foreign Policy, and Personal Freedom/Civil Liberties. These are an inexpensive way to recruit new members by giving them an issue specific slim jim that covers the topic they are passionate about. Printed on both sides of card stock in full-color and available in packs of 100 or boxes of 1,000.